PureVPN has been on the forefront of the VPN industry since 2006. Based in Hong Kong, PureVPN is one of the most reliable VPN services. The service offers the best online security features to keep your online communications safe and private. This includes military-grade encryption, which helps you avoid spies and hackers lurking on the web looking to steal your private data. Because the service operates from Hong Kong, it isn’t required to keep any logs of user data. The company respects user privacy and makes sure that all web activities of its users are kept private. PureVPN provides access to over 2,000 servers in 140 countries. This makes PureVPN the owner of one of the largest server networks, and ensures that its users enjoy complete online freedom. PureVPN is the best service to stream your favorite content online thanks to its amazing speeds and uninterrupted access to every website on the web. In a nutshell, if it exists on the web, you can access it with PureVPN! Current promotion for $2.88/month for 2-years plan at 74% Discount, a 1-year plan for $4.08/month for 63% Discount. The monthly plan is at $10.95/month. Remain in control of your privacy, security, and anonymity, even when the VPN connection drops. Chose which data to send through your ISP and which through the VPN connection. One PureVPN account affords you the ability to connect up to 5 devices simultaneously. Our technical team is always here to help you when you run into an unexpected error. Our global network of 2,000+ strategically placed servers helps you overcome any restriction. Launch PureVPN on your device and make any public Wi-Fi a secure Wi-Fi for your data. You will never have a slow day with our dedicated servers optimized for speed. Away from 5 and 14 Eyes, we are based in Hong Kong and are not required to store any data. Pure VPN average rating: 4.7 /5 based on 17 reviews. Once I moved from the monthly subscription to the annual subscription authentication constantly failed. Customer service were unable to help me. But all that might be acceptable, BUT customer service was abusive, disrespectful and ignoring my communications. Not just that, but when I asked to be refunded because I don’t want the service anymore, they said refund is only available within the first 7 days. 7 Days which they stalled “trying” to resolve my problem. I will make this as short as possible since I’m a very busy person. I have been using purevpn since two years and I really like this service comparing to the rest. I love their addons like smart dns, dedicated IP and my personal favourite is ddos protection. I have experienced speed issues here and there and ninety percent of the times it works perfect. I like it very much. It is superb in every terms. 24/7 support is awesome. 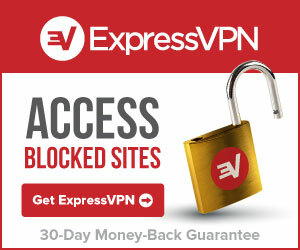 Best VPN service among all.. 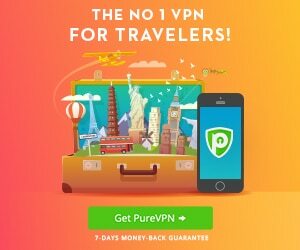 I have been a customer of PureVPN for the past 3 years now and i can proudly say that I’m using the best service so far. I did try a few other VPNs like HMA and Express VPN but PureVPN simply beat them all. The speeds and customer service are outclass and thats what refrains me from trying any other service now.